This model wasn’t based off of any specific building, just an archetype of the Chicago greystone. This one features two floors and a garden unit, dual bay windows, and a triangular top pediment. 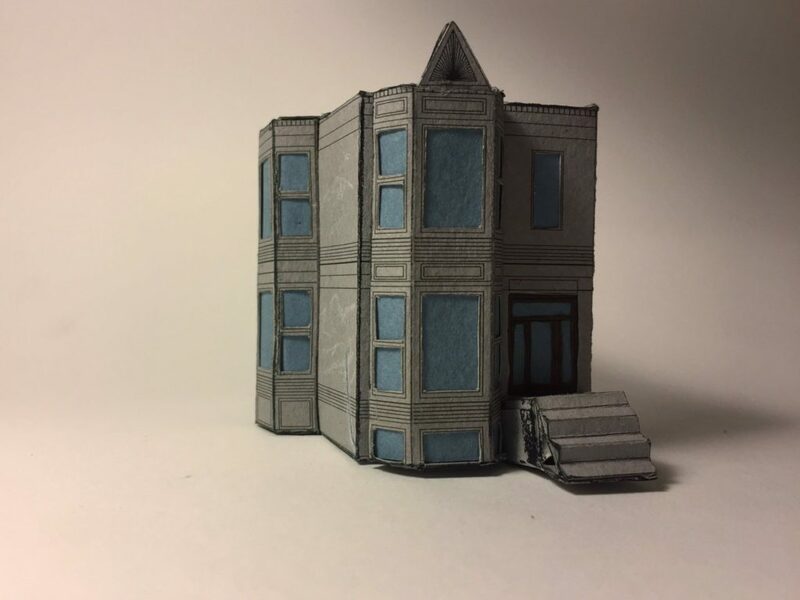 for news on tinycity, sign up for neighborhood notebook, the chicago patterns newsletter.